A yummy walk, both the sights and the cake! From Odell, Mill Lane/Horsefair Lane. This is a 5 1/2 miles circular route, gently ascending to the high ground in the bends of the River Great Ouse with great views when walking the ridge and on the way down (they say you can see five churches). Stop at Harrold visitor centre where tea and cake is available (optional). After this we will continue on to see the woodcarvings, finishing with a walk by the river. Bring a drink and snack for the break half way round; there are the usual styles and steps, wear appropriate footwear and clothing for a walk in the country. Meet by the Natwest bank @ 1:30 p.m. 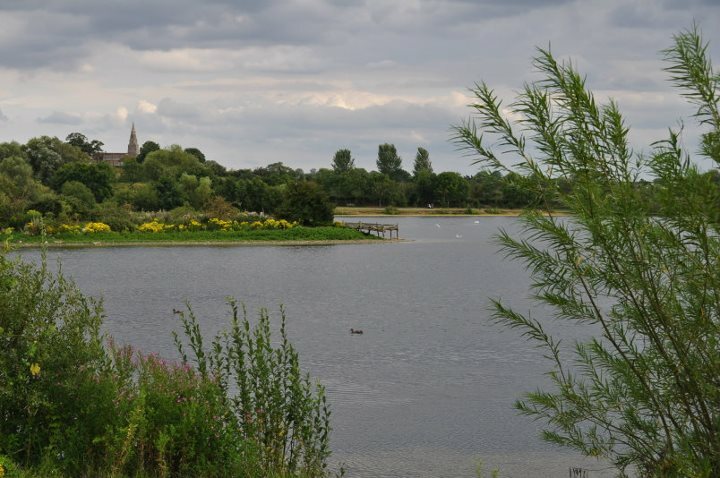 This entry was posted in Blog, Local walk, News, Past events, Walks and tagged Harrold-Odell Country Park, lake, The Bell @ Odell, the river Great Ouse.